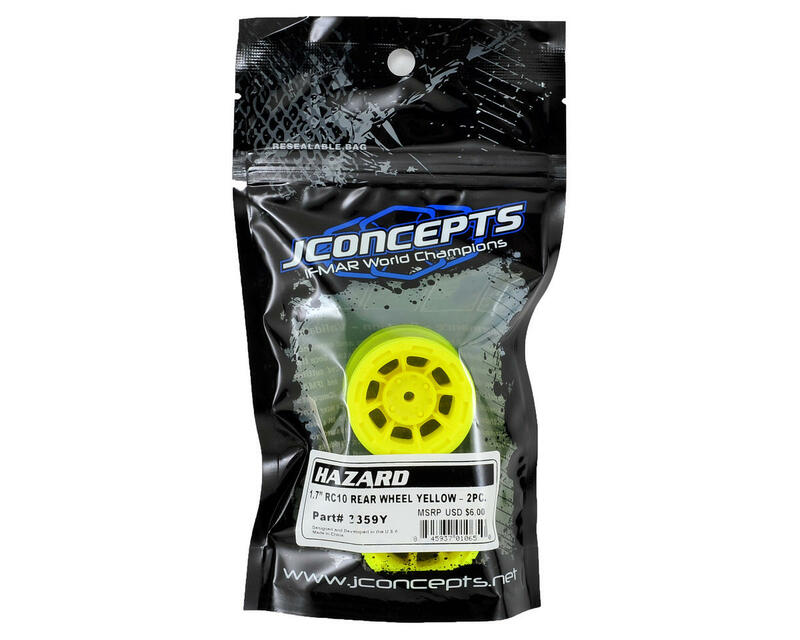 This is a pack of two optional JConcepts Hazard 1.7" Yellow RC10 Rear Wheels. 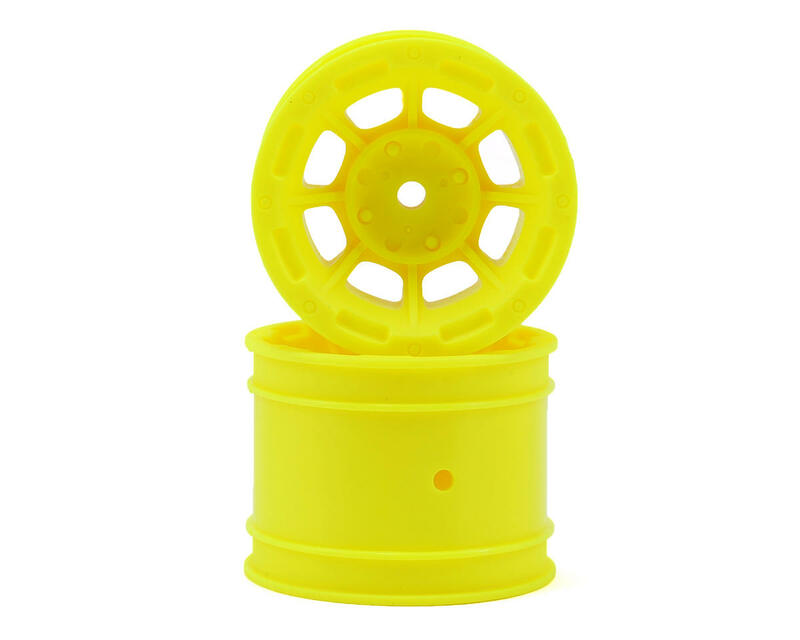 The popular Hazard style wheel is now available for the RC10 Classic. JConcepts has identified all the key points of the 1.7” diameter wheels and positioned them so racers can now have today’s style and flair built for the classic design. The base style of the Hazard revolves around the ROAR Short Course National Champion wheel design but this time designed to fit the legendary RC10 vehicle. The Hazard wheel is built in an extremely durable material with a powerful look that combines the winning combination of a 10 spoke design, bead-lock appearance and center lug nut detail with a hint of inspiration from the good-ole-days. 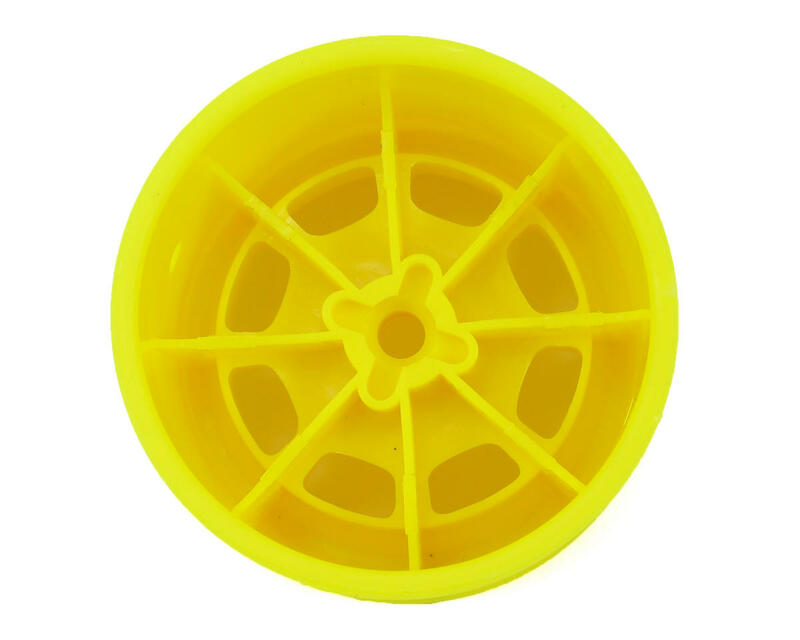 The Hazard rear wheel fits the Classic 1/4" axle on the original and Classic RC10. Note: The RC10 Classic kit tires will also fit the Hazard wheels but require a glue application.